The Golden State Warriors have reached unprecedented levels of success in the past two seasons — they're the second team ever to win 66 games in back-to-back years, are in very good shape to beat the 1995-96 Chicago Bulls' single-season record of 72 wins, and stand as favorites to repeat as NBA champions no matter how many victories they finish with this regular season. Their dominance is unprecedented in part because no one was prepared for it. Head coach Steve Kerr took over a middling playoff team in the summer of 2014, which was itself a remarkable achievement for a franchise that had been a laughingstock around the league for the majority of the prior 20 seasons. The juggernaut essentially came out of nowhere. Teams do not become all-time dominant ones because of just one factor, but there are disagreements over which factor made the biggest impact on the Warriors' drastic improvement. Was it Stephen Curry's development into a transformative superstar? Draymond Green's emergence as the do-everything fulcrum of the system? The decision to not trade Klay Thompson for Kevin Love? The hiring of Kerr? Still, Curry’s mere presence wouldn’t have created the means to overhaul a franchise. It takes an extraordinary player to do it — but that isn’t all it takes. LeBron James still hasn’t won a championship for the Cavaliers; playing together, the perennial All-Stars Kevin Durant and Russell Westbrook haven’t won in Oklahoma City. The decision to keep Curry, coupled with the good fortune that he remained healthy and grew into a transcendent player, gave Lacob and Guber’s structural innovations the chance to have their desired effect. There are two aspects to these comments most worth investigating. The first is fairly obvious — that Lacob comes off as very arrogant. Yes, there's something to the idea that the Warriors are building a burgeoning dynasty, just as he deserves credit for overhauling an organization that seemed backwards and closed off during the years of Chris Cohan's ownership. Yet that doesn't mean it's great form to talk about crushing the opposition or to talk about an organizational advantage in terms of intergalactic travel. He could get some dirty looks at the next meeting of the NBA's Board of Governors. The second issue is less about professional decorum but does tie into Lacob's self-regard. Schoenfeld structures his piece around answering the question of whether this kind of on-court dominance can really be a product of elite ownership, bringing up the post-Michael Jordan struggles of Jerry Reinsdorf as evidence against the argument. The article's premise means that Schoenfeld ends up largely on the side of Lacob, but it's sometimes unclear exactly how the Silicon Valley mindset can mean so much to a basketball team. Instituting an open-floor seating plans at franchise headquarters probably means a great deal to employees, but is the direct impact of that idea so great as to put the Warriors ahead of 29 other teams? Most other owners are at least familiar with the management concepts used by tech companies, so it's not as if Lacob has emerged from an entirely unknown culture. It'd be hard to believe that Mark Cuban hasn't considered bringing many of the same tactics to the Dallas Mavericks. That's not to say that Lacob and Guber haven't done a lot right or created one of the league's most functional organizations. As explained by Schoenfeld, their greatest decisions may have involved bringing in limited ownership partners as expert advisors, not just minor investors, and allowing special adviser Jerry West to have actual power. 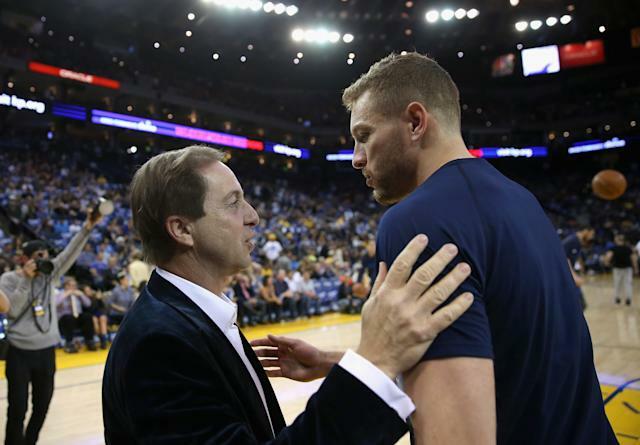 Lacob says that West has overruled him (correctly, it turns out) on the way to some of the franchise's best decisions, including trading Monta Elllis for the injured Andrew Bogut in 2012. All that after Lacob admits he brought in the legendary executive primarily to serve as public relations cover for when certain moves didn't work out. Those are meaningful changes that shouldn't be discounted, because there are plenty of teams with primary owners who don't know how to defer and avoid arguments with limited partners. At the very least, Lacob has created a system with the Warriors that covers for his own faults and gaps. For that matter, Golden State does appear to have more synergy than most NBA teams. That's not an accident. It's also not proof that the Warriors have built an organization that can dominate for years to come. Like it or not, NBA success largely comes down to luck. And while Lacob and Schoenfeld are both correct that owners can create situations that produce more good fortune than others — Curry became a generational talent because he blossomed with a non-Monta Ellis backcourt partner and was put in a situation catered to his unique talents — the Warriors have succeeded beyond anyone's wildest dreams. This is an irregular confluence of factors that cannot easily be reproduced. It takes a thoughtful organization to figure out how to put rare talents together, but a team still needs to get those players in the first place. Curry gets plenty of attention here as the superstar who makes the Warriors what they are, but Draymond Green is a unique find who no one predicted would be able to do everything an NBA team needs after his career at Michigan State. Green curiously goes unmentioned in the article despite being either the best argument for the organization's strengths (it unearthed a gem, or maybe discovered a new element for the periodic table) or for the possibility that even the best front office doesn't really know what it has until the player shows them. Lacob is spot on when he says that Curry cannot thrive on his own — that it takes the entire franchise structure to raise him to the heights he has reached this season. But saying that everything is important does not mean that it's all equally important, just as no one would say that Leandro Barbosa's importance as an end-of-rotation pace-setter makes him as essential as Curry. Schoenfeld ends the article by comparing Lacob's ability as an owner to his expertise as a blackjack player, but the analogy can only go so far. Lacob's best virtue as an owner hasn't been that he has a good guess as to what cards are coming. It's that he hasn't gotten in the way while people below him, from the general manager to the players, hand him a stacked deck.